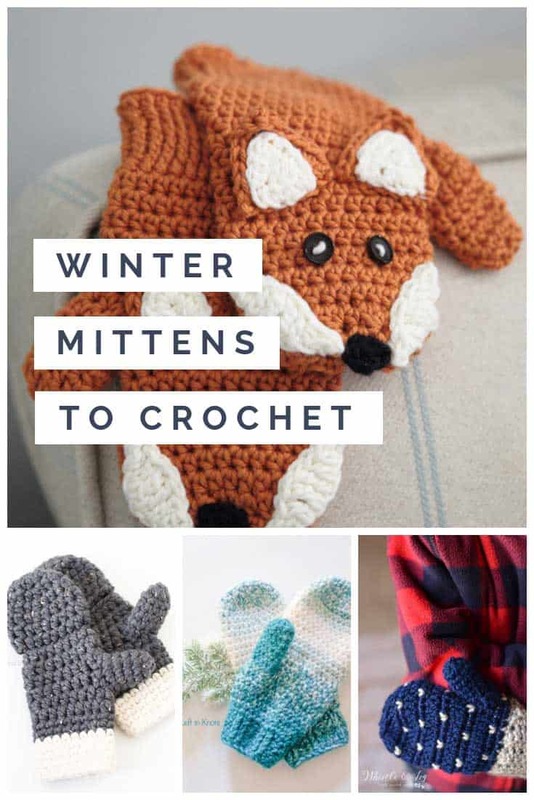 Don’t let your fingers feel the cold this winter, add one of these free crochet mitten patterns to your project list! 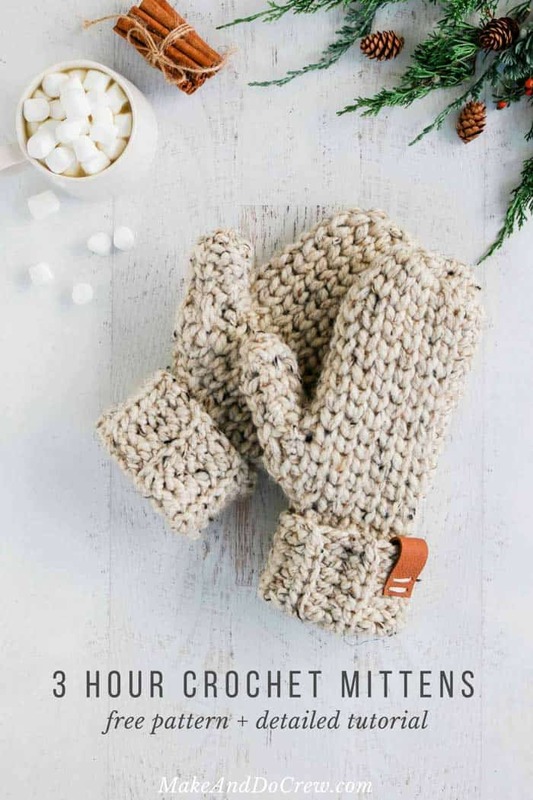 Bright copper kettles and warm woollen mittens… anyone want to channel their inner Fraulein Maria today? 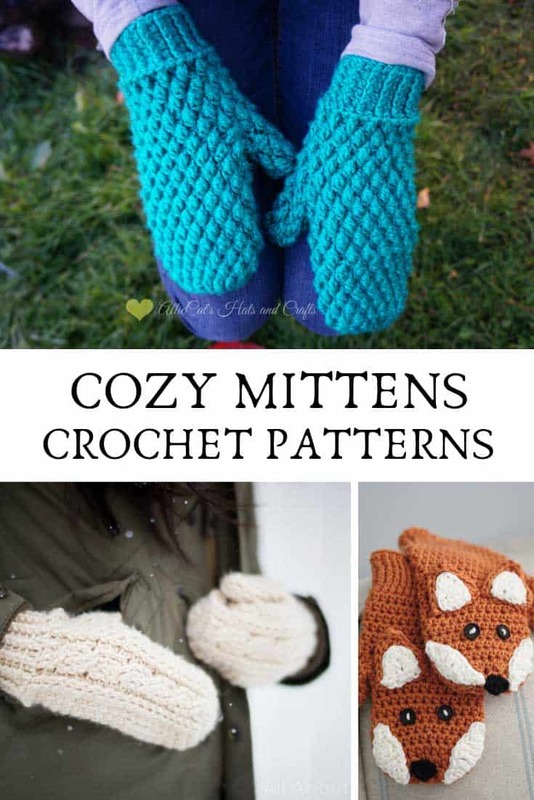 Because we’re sharing the cosiest crochet mitten patterns we could find to make sure your fingers don’t feel the cold this winter! 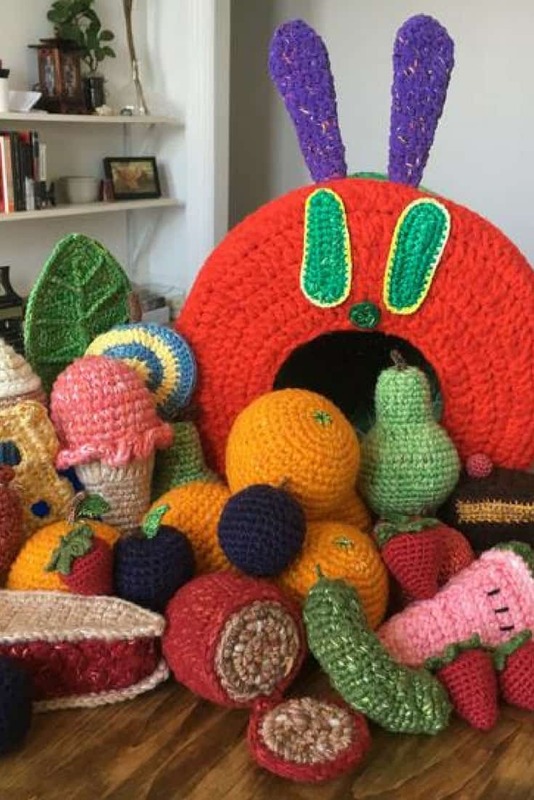 You’ll need to know who to create a magic circle to start off this pattern as these mittens are worked in the round. 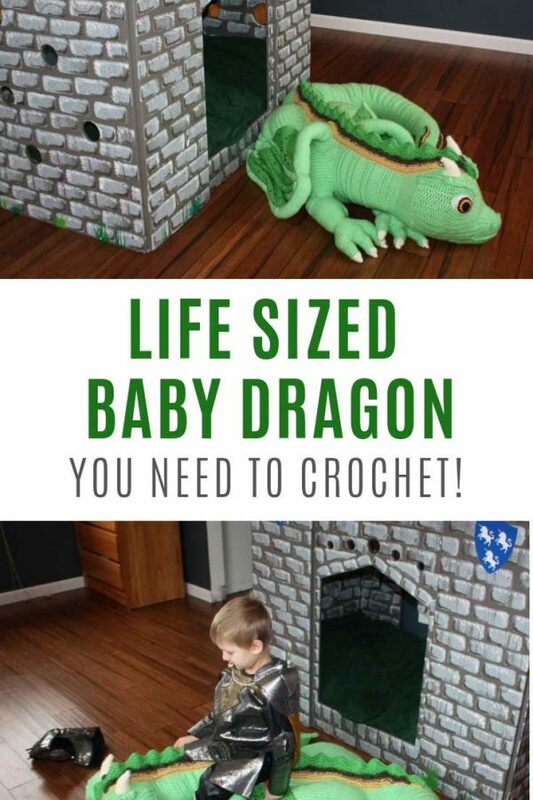 There are a LOT of pictures for each step so if this is your first time crocheting cable don’t be put off! 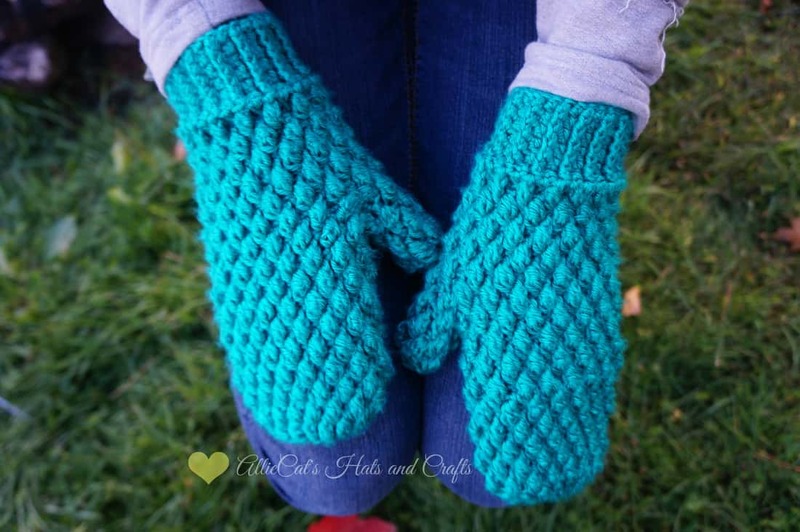 I love the color of these mittens, they remind me of Elsa from Frozen! 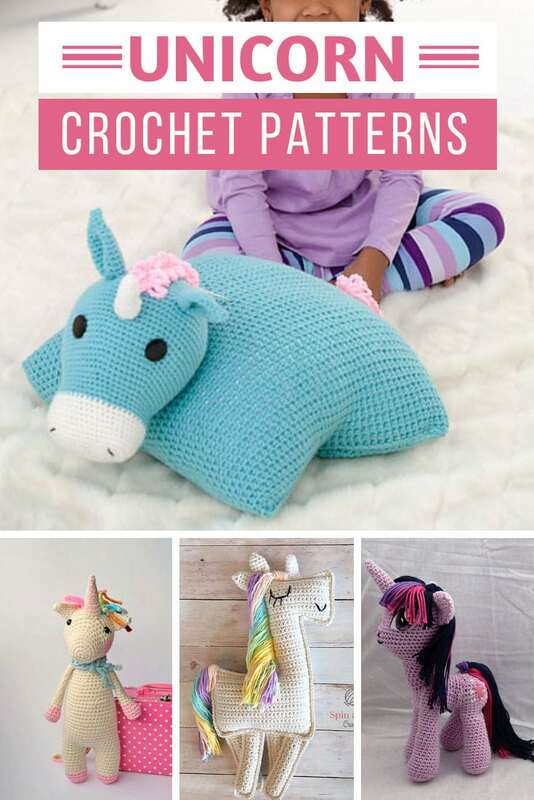 There’s a helpful tutorial that goes with this pattern to help you get started. 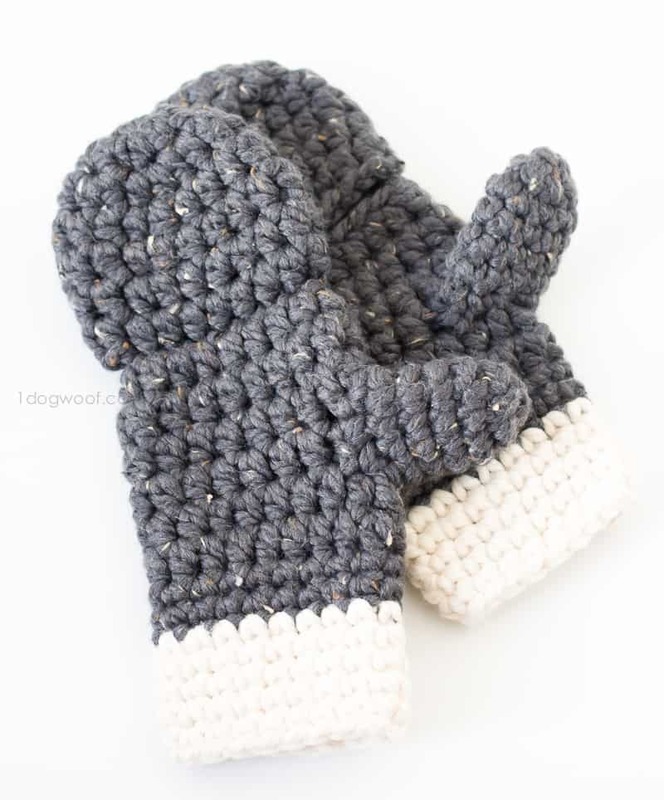 Oh and these mittens only use a half a skein of wool, so you could make another pair for a friend! 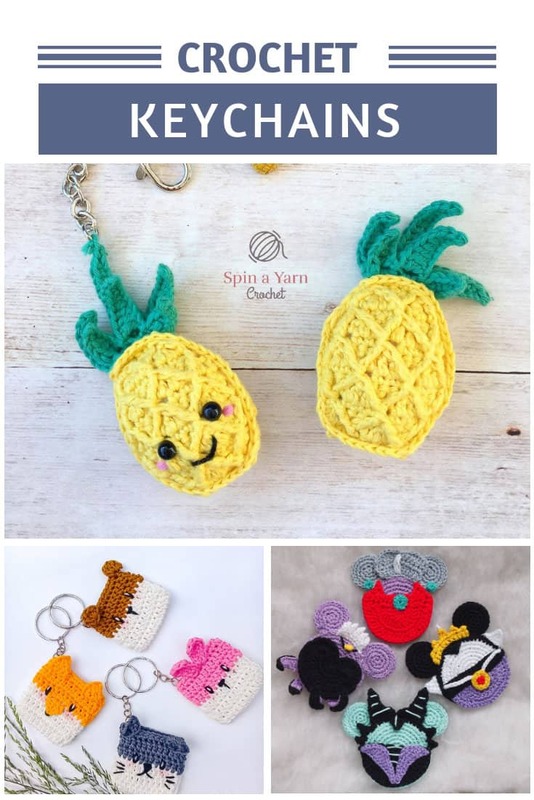 If you sell your crochet items and are looking for a mitten to add to your inventory then check this one out! 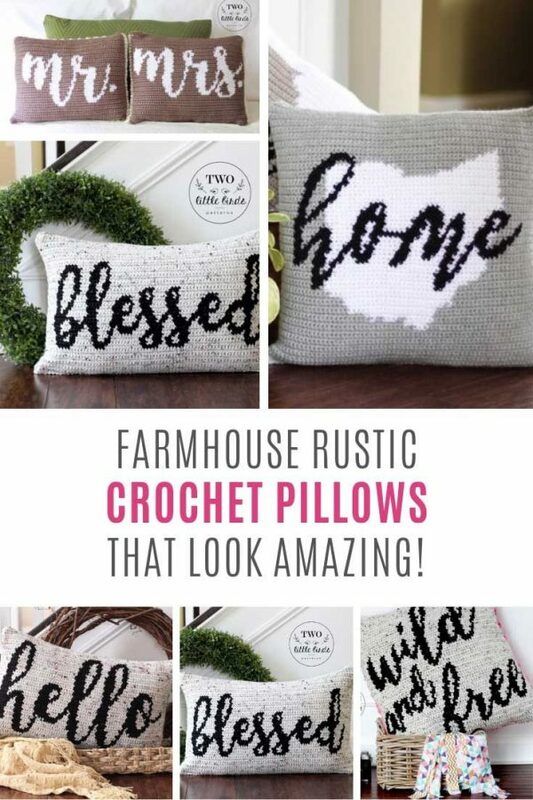 I love the little snowflake details in a different color. 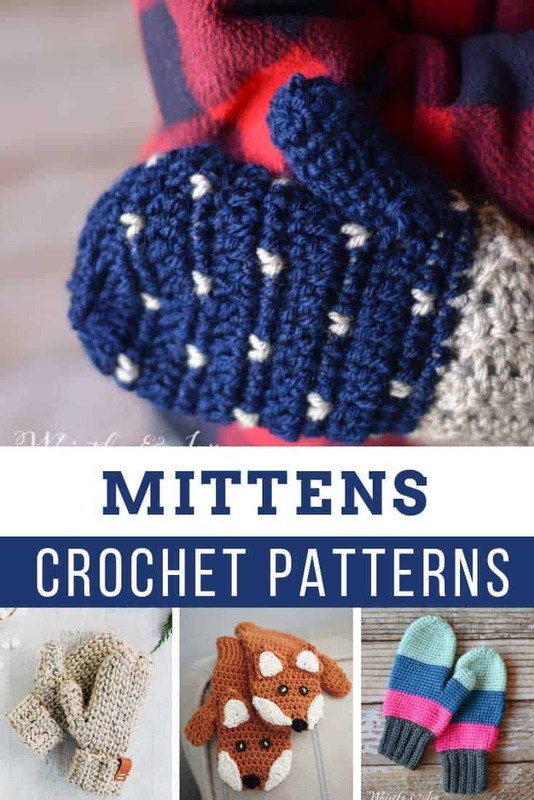 The pattern also includes the amendments you need to make these cute mittens in child size too! 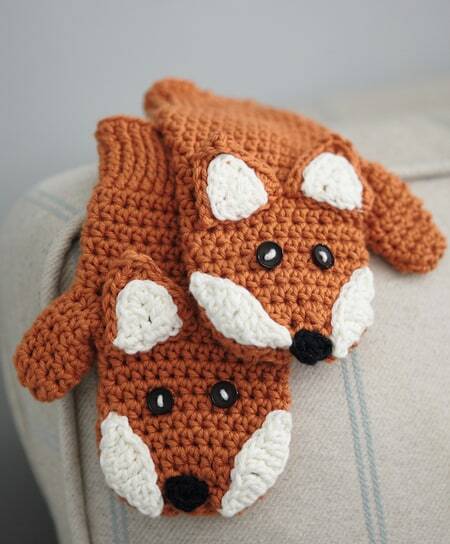 Speaking of child sized mittens, how ADORABLE are these foxes? 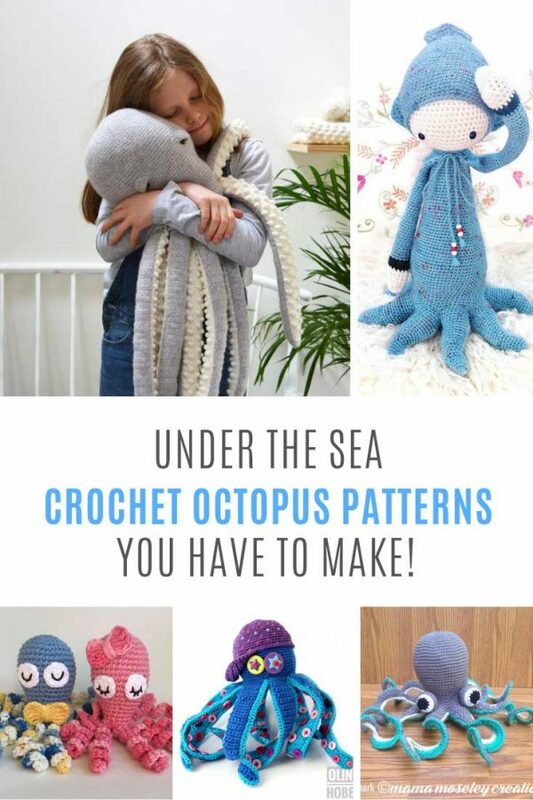 I can never get my six year old to wear mittens but I’m pretty sure he’d change his mind if I made him a pair of these! 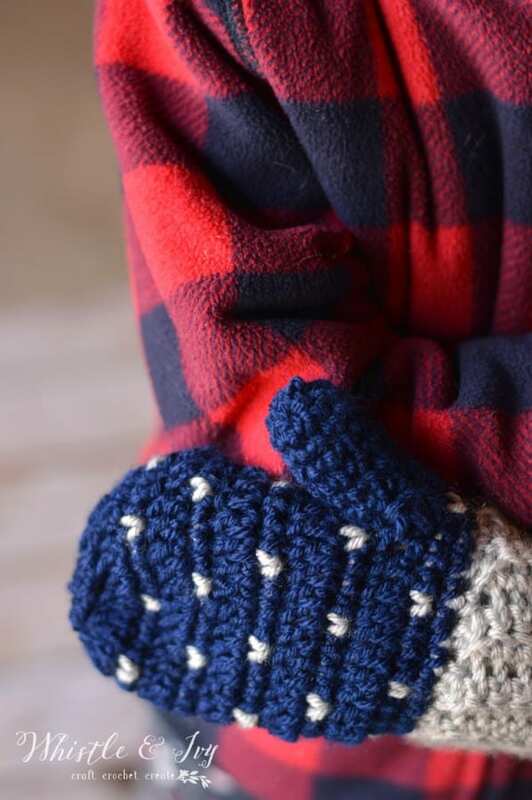 If you’re looking for a project to do this weekend how about these chunky mittens that come together in about three hours? 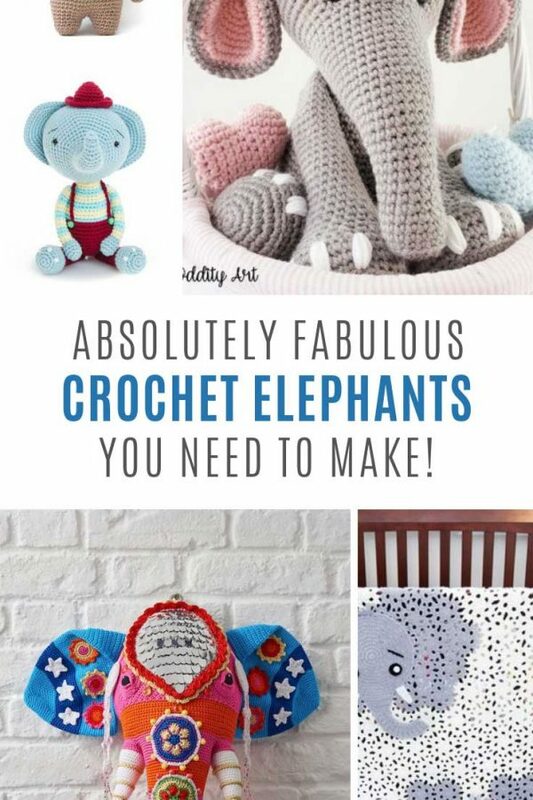 Make sure you check out Jess’ recommendation for chunky yarn because that oatmeal color is just fabulous! 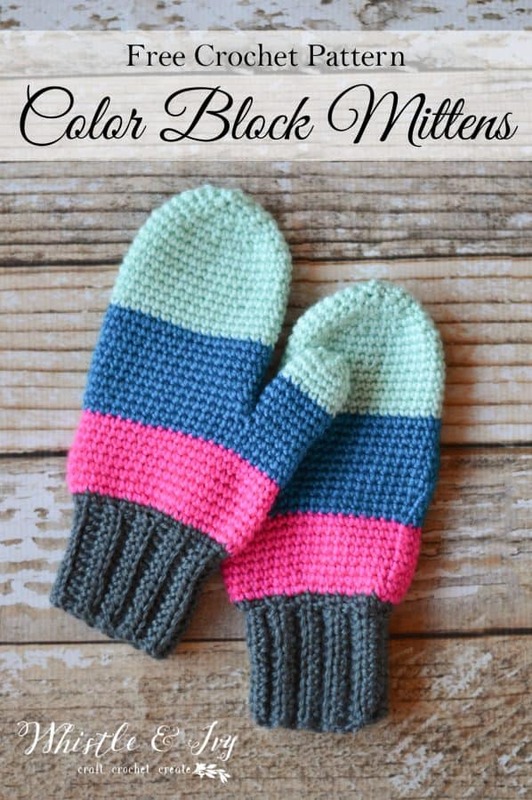 You know how much I love my yarn cakes for self-striping patterns, but these mittens actually use four different colors to make the stripes! 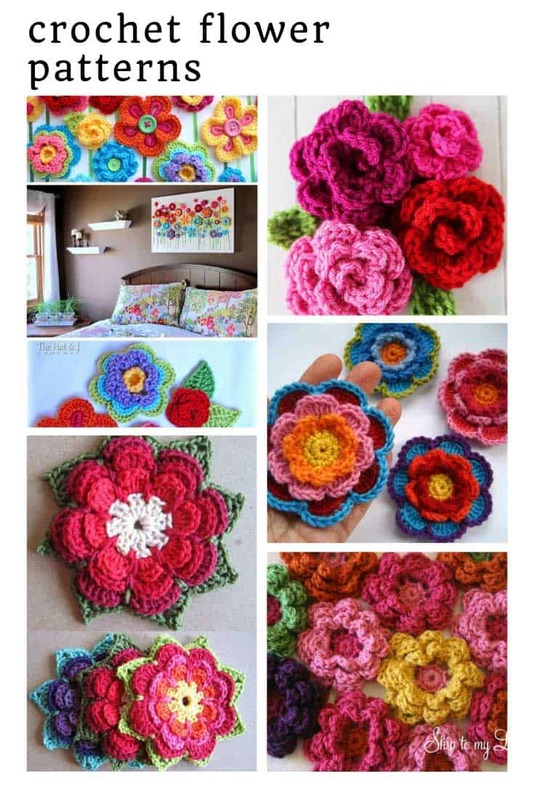 Sometimes it’s good to do things the old-fashioned way right? 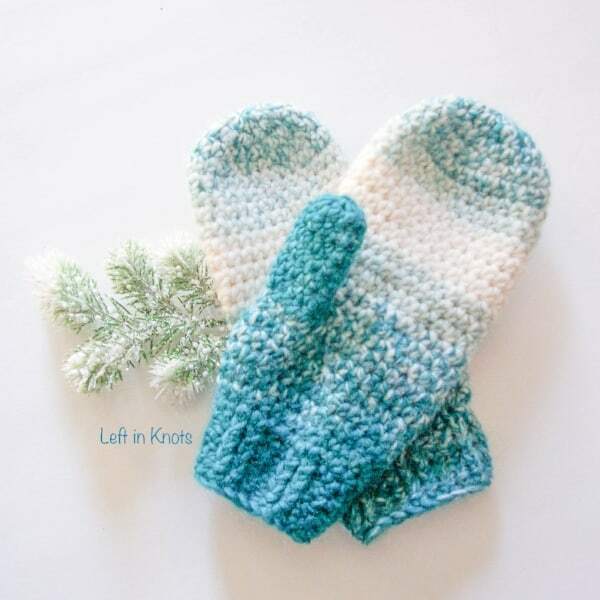 This fabulous pattern was created as part of a mitten drive so why not make one pair for yourself and another to donate to someone who needs some mittens this winter? 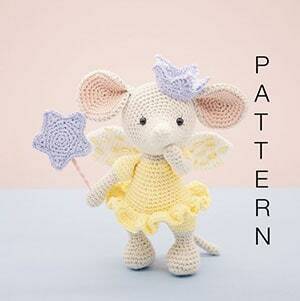 Here’s another pattern that was created out of love as part of a charity drive. 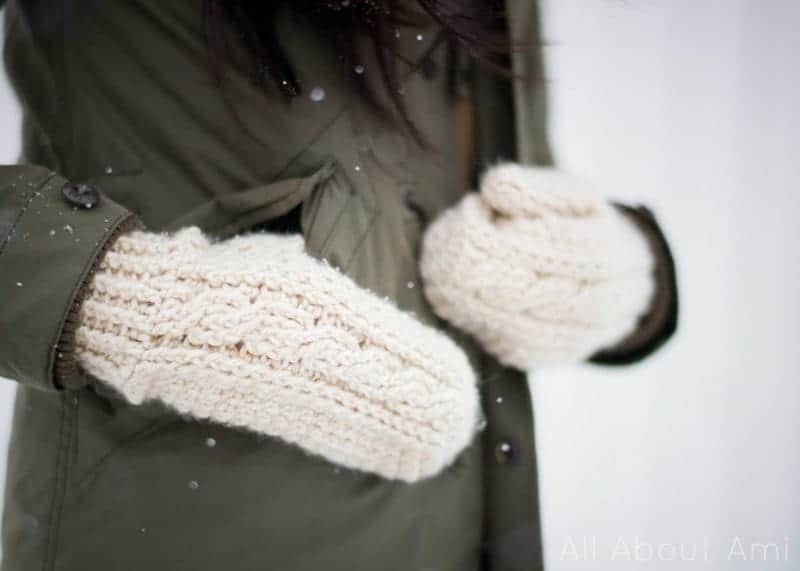 I love the fold over mitten style as sometimes you need access to your fingers without having to keep taking your mittens on and off!